The inaugural Burning To Live workshop launches in September 2019! The Burning To Live workshop was developed to help us “burn” away our fears and self-doubt so that we can achieve our full potential. Over the course of 12 weeks participants will regularly practice and be introduced to different types of yoga; complete The Artist's Way program; be exposed to various Eastern & Western teachings; and explore spiritual / intuitive tools such as Numerology, Astrology, & Tarot. Sound like something you'd be interested in??? You can get a major discount by signing-up now and simultaneously supporting our crowdfunding campaign on IndieGoGo! The workshop is offered now for $555, and will ultimately be priced at $777 or higher. Any questions? Reach out to me at swan@swansnestyoga.club. And see below for an indication of what types of content we’ll explore in the workshop. NOTE: This is all preliminary content, schedule, and itinerary. The workshops will definitely occur from September - November, but the exact curriculum and schedule will be developed over the next couple months. Participants will practice yoga 3-4 times per week as part of the workshop, and will also have access to unlimited yoga classes at The Nest during the duration of the workshop. Participants will be exposed to multiple types of yoga including, but perhaps not limited to, Vinyasa, Yin, Kundalini and Ashtanga. All levels of yoga practitioners are welcome, even if you’re never stepped foot into a yoga studio before! 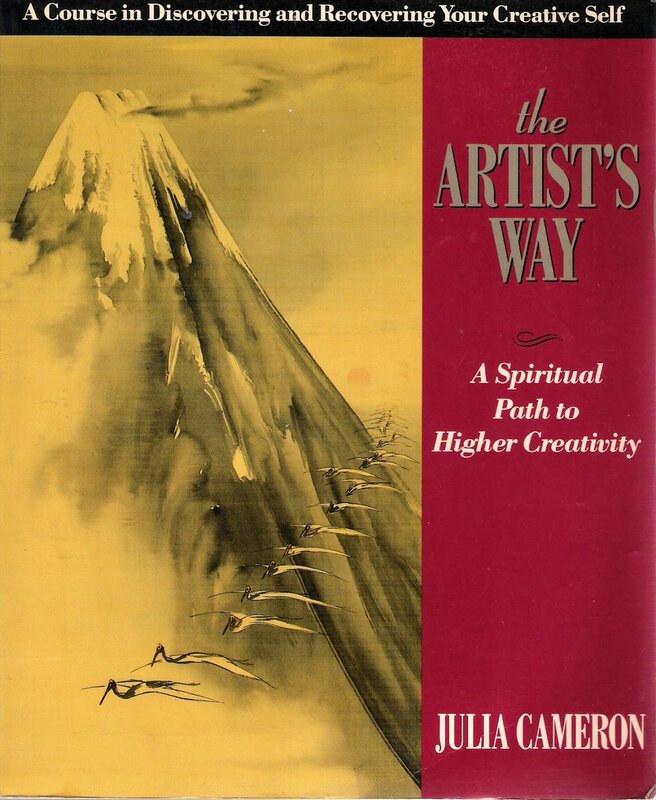 The Artist's Way: A Spiritual Path To Higher Creativity is a book by author Julia Cameron. The book was written to help people with artistic creative recovery, which teaches techniques and exercises to assist people in gaining self-confidence in harnessing their creative talents and skills. Correlation and emphasis is used by the author to show a connection between artistic creativity and a spiritual connection with a higher power. An exploration of some of the great thinkers, ideas and philosophies that nudge us towards self-actualization. Who am I? Why am I here? What is the nature of consciousness and existence? We’ll explore yoga philosophy and texts, Buddhism, Alan Watts, the Enneagram, Myers Briggs types, and poets, philosophers, and mystics that may spark inspiration and guide you towards Truth! Take what resonates with you, and leave the rest behind. Numerology. Astrology. Tarot. CRYSTALS (I don’t get them yet, but people swear by them). We’ll break out a ouija board from 1996, pair that ouija with our ujjayi breath, meditate on the swans of Hilma af Klint, and see what happens. Don’t be scarred, the spirits are on our side!! Joking aside, these tools of intuition can be really powerful. Like anything, if we approach them with an open mind maybe we’ll get something from them. I used to think there were BS, some days I still do. But other days I think feel like they’re the most truthful things I know.